Home Vietnam Travel Guide How to buy train tickets to discover Vietnam? How to buy train tickets to discover Vietnam? 4 years ago by admin Comments Off on How to buy train tickets to discover Vietnam? Travelling by train might be the best way to get around Vietnam; and of course, the number of foreigners using this type of transport is increasing. Therefore, in this post, I will share some main ways to buy train tickets in Vietnam. Book train tickets from the high reputation Vietnamese travel agency: Since you cannot book online from Vietnamese Railways’ website, asking a travel agency for help is a wise decision. They can offer you this service with the competitive price and exact details of date, train and class. Some people did not agree this way because of their nervousness about the mark-up fee. It is the reason why I stressed that you should choose the high-reputation travel agency to avoid this trouble. In the past, Eviva Tour was the travel company which offered me this service and I found their service was perfect and the mark-up fee was accepted. Buy tickets at the train station: There is no difficulty if you want to buy train tickets right at the station; however, you should avoid the peak holiday times to avoid queuing up too long. You should buy tickets at least two day ahead. Aslo at ticket booth, it is better to pay in Vietnam dong if you do not want to wait long for exchanging currency or credit card’s transaction. 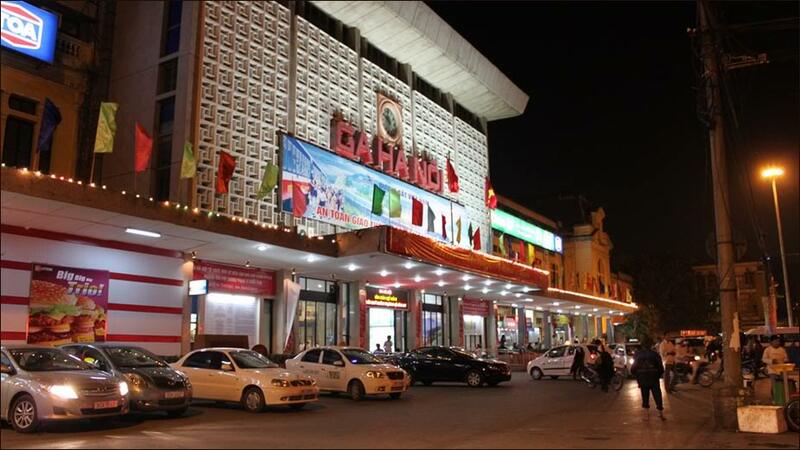 If you are in Hanoi, you can go to Hanoi station located in Le Duan Street to buy train tickets. And in HCM city, Saigon Railway Station is located at 15 Ward, Binh Thanh District, Ho Chi Minh City. To find the ticket booth, you enter the main doors and turn left. There are several booths with queuing line. If you do not want to queue but take a seat, you can press button on the box at the entrance to get a numbered queuing ticket and wait until your turn. With the above information, I really hope that you will face no trouble at all if you want to enjoy your trip by train.